High School Quartet Contest "Sing Off"
Click Here For The "How-To" Quartet Video! Rebecca Richards for more suggestions. 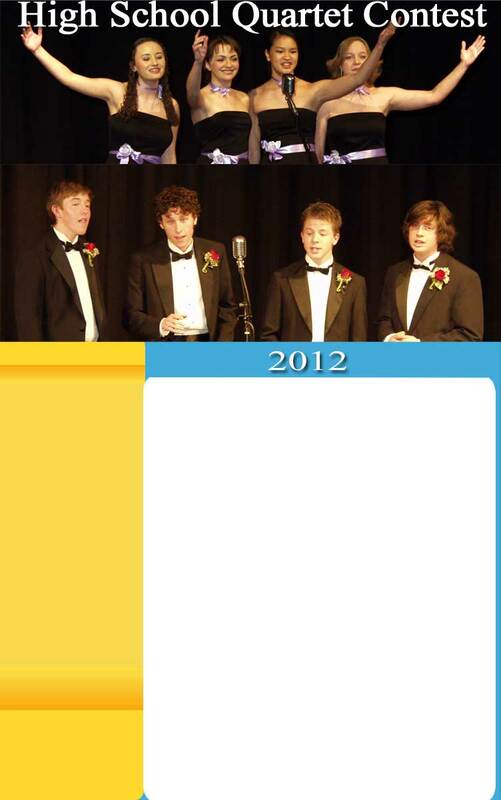 Each year the Denver MountainAires sponsor a High School Quartet Competition. Any student quartet in the front range is invited to participate. Some quartets are all male, some are all female and some are mixed. Awards are given in each of these three categories. The theatre is always packed and the students have a great time performing. A professional guest quartet is invited to score the contestants and perform a few songs for the audience and the contestants.